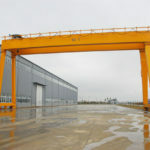 Light duty gantry crane is ideal for lifting and transferring small and lightweight loads from one place to another so as to boost productivity and realize a high economic growth, which is widely applied in a large variety of fields, such as construction site, railway, port, workshop, and shipyard. 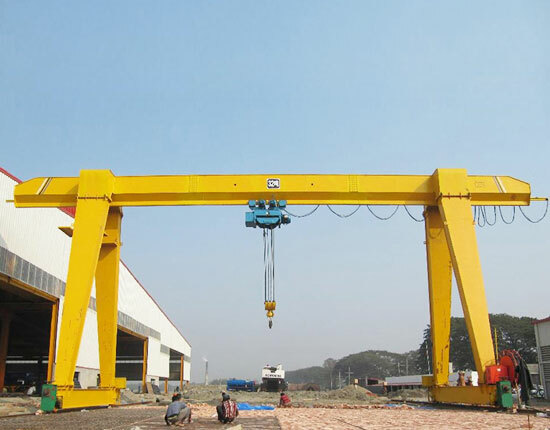 This small gantry crane comes in various types and each type is designed for different purposes. 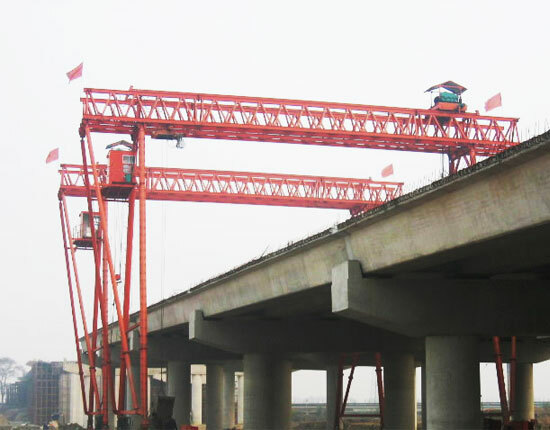 According to different girder designs, the light gantry crane can be divided into single girder and double girder. According to different running mechanisms, we have rail mounted gantry crane and wheel mounted gantry crane for your choice. 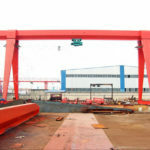 Besides, we supply fixed and adjustable gantry cranes to serve your specific uses. 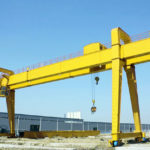 We have years of experience in designing and manufacturing gantry cranes and other material handling equipment. We supply both light duty and heavy duty gantry cranes to suit a wide range of applications. Our light duty gantry cranes can be found in various types and models to meet different needs of customers. You can find the most appropriate lifting system for your application from Ellsen. 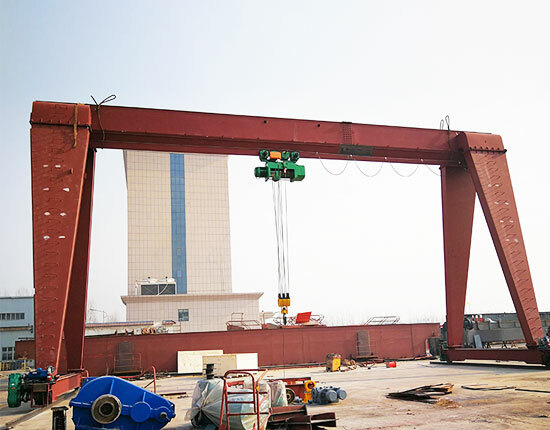 MH single girder gantry crane is the most commonly used light duty crane, widely applied for indoor and outdoor workplaces, such as storage yards, warehouse, workshop, freight yards, and dock. It is a typical A frame gantry crane and the lifting capacity of this equipment is in a range of 3 ton to 16 ton to handle small and medium sized materials. The metal structure of this lightweight gantry crane is usually designed with box type. For outdoor working environments with strong winds, truss gantry crane is more often used to reduce wind resistance. BMH semi gantry crane is another type of light duty gantry crane, which is similar to MH type except for the lack of supporting legs on one side. Because of the limited work space, this gantry lifting equipment is generated to make the most of building structure and save space. Portable gantry crane provides a more flexible way to lift and move small loads anywhere in the working area. It travels by means of wheels fixed on the equipment. Due to strong mobility and simple assembly, this portable small gantry crane can be moved and transported from one workplace to another easily. This light duty lifting system is usually made of steel or aluminum and available for fixed and adjustable height and span designs. 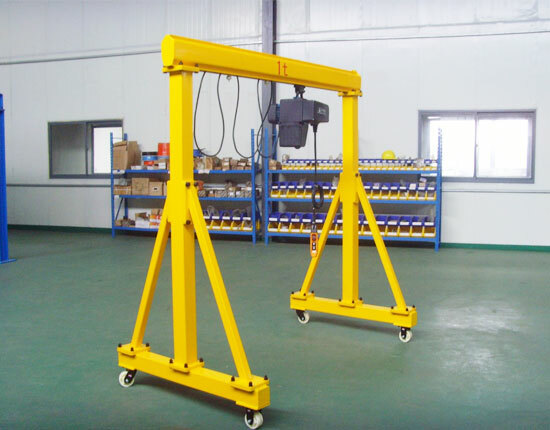 The light duty gantry crane is widely used in many occasions including shop, workstation, garage and warehouse to carry out small lifting tasks. 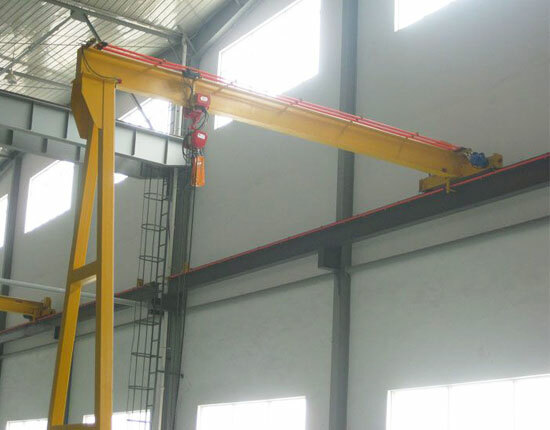 Telescoping gantry crane is usually regarded as a light duty gantry crane, which is increasingly popular in shop, workshop and workstation for its flexible designs and high adaptability. The telescopic leg designs allow the lifting system to pass through obstacles easily and then extend the height of crane to suit a higher workplace. 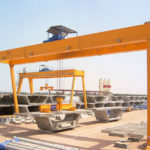 Each type of light duty gantry crane has its pros and cons. With respect to different uses, working environments and ways of operation, it is vital for you to choose the right lifting system to maximize your interests. This small gantry crane is an ideal option for safe and efficient operation. 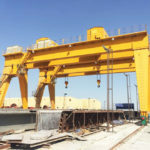 We offer a range of light duty gantry cranes for sale in order to meet different requirements of clients. Compared with heavy duty crane, this lifting equipment costs less and only requires a few people involving in the crane installation, disassembly and operation. The light gantry crane is more often operated from ground by means of pendant control or wireless remote control. For some small gantry cranes such as aluminum gantry crane and mini gantry crane, they can be operated manually. Our light duty gantry crane for sale features superior quality, reasonable price, simple structure, and minimal maintenance. We value much on the equipment quality and service which is also as a core competitiveness of our company. Our gantry cranes have embraced ISO and CE certificates. Looking for a light duty lifting system? Ellsen can be your best choice. We are very pleased to help you choose the best material handling solution and offer you a favorable price. Light duty gantry crane system runs by either rails mounted on the ground or wheels which make the movement more convenient. The rail mounted gantry crane is used to lift and move loads by way of trolley mechanism and crane running mechanism. The trolley is mainly composed of hoist and carriage, of which hoisting mechanism is used to raise and lower loads and the carriage travels along main girder to make the trolley move. The crane running mechanism drives the whole equipment to move along rails. For portable gantry crane, it is wheeled to achieve a more flexible movement. Without a fixed path, this mobile gantry crane can travel around the working areas freely and realize a large lifting coverage. The heavy duty casters make the movement more smooth and stable. In order to ensure a secure operation, the light duty lifting system is usually equipped with some safety devices such as anti-collision device and anti-swaying device. 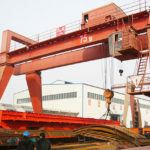 In terms of quality, service and safety, we can provide the best light duty gantry crane to fit your individual needs. 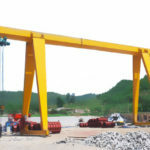 We have been engaged in material handling industry for many years, and supply many different types of lifting equipment such as bridge crane, gantry crane, jib crane, and winch products to meet your various lifting requirements. Our gantry cranes are available in both small and heavy duty type with capacity ranging from 1 ton to several hundreds tons. With regard to quality, we have a strict quality control system and quality assurance system, allowing us to provide quality products for clients. The whole production process is supervised closely by specialists in our factory. We try our best to make sure the equipment is in superior quality. For gantry crane service, we are able to offer one-stop service to customers so as to save time and cost for them. We are responsible for the equipment design, manufacturing, delivery, installation and maintenance. 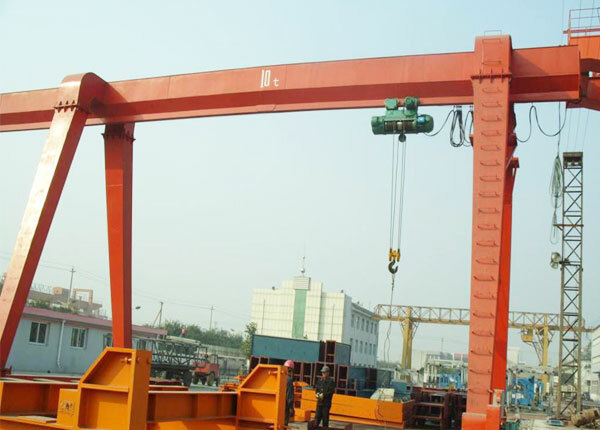 If you are interested in light duty gantry crane, contact us now to get the best price. Our experienced engineers will help design the most suitable solutions for your specific uses.